Arinc held a press conference in Ankara and said that a threat against Jewish citizens never took place in Turkey and 70 million Turkish people did not have hostility against Jewish citizens. "I believe that the people who gathered in front of embassy (of Israel) in Ankara and Istanbul aimed to express their deep sorrow (over Israel's attack on ships carrying humanitarian aid to Gaza). They will not make any harm," he said. Lyn Julius reviews Flight from Babylon by Heskel Haddad (Magraw-Hill, 1986, reprinted as Born in Baghdad) as told to Phyllis Rosenteur, a detailed account of the last years of the Jewish community of Iraq by an irrepressible man of action. A cursory look at an online physicians' directory tells me that Heskel M Haddad, New York-based opthalmologist and eye surgeon, is still accepting new patients. Clearly, retirement is not on the cards for this 79-year-old. Having just read Heskel Haddad's memoir Flight from Babylon, (first published in 1986, reprinted in 2004 as Born in Baghdad) I am not surprised. 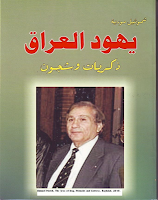 Dr Haddad, as hyperactive as his thyroid gland, is patently as irrepressible now as he was in his native Baghdad. When he is 11, the anti-Jewish Farhud pogrom of 1941 changes his life. It turns him from Iraqi supranationalist to Zionist - swearing vengeance for his stabbed cousin and best friend Haron, who dies after public hospitals refuse to admit injured Jews. The book gives a fascinating overview of the antisemitism pervading Iraq at the time. Two hundred students matriculated each year from the only medical school in Iraq. Jews only constitute one percent, although more than half qualify for entry. Haddad is one of the ten Jews accepted that year. Strings are pulled to alter Haddad's documents and make him four years older for entry. The fear of the next Farhud hangs over the Jews of Baghdad. The Iraqi leadership has always used the Jews to take pressure off itself, staging phony rent-a-mob demonstrations. While Haddad likes Arabs, he could never trust them. His father is devastated to find Arab friends had decorated their house with Jewish loot from the Farhud. Haddad cannot even trust his funny and clever friend Rashid, who might blow the whistle on Haddad for being a Zionist. The Jewish students are routinely beaten up by the Misilmin at exam time. They increasingly keep a low profile as tension builds up over the Palestine question. The government's silent war on the Jews reaches absurd heights: Jews unpick Stars of David from their prayer shawls and stop wearing watches - then a 'Jewish' accessory. The slightest pretext could land them in jail. Eight thousand Iraqis are sent to Palestine to wage jihad, financed by money extorted from Jewish merchants. Jews are sacked from the Civil Service. The hanging of the wealthy anti-Zionist Shafik Ades sends shock waves through the community: even non-Zionists and Communists understand they have no future in Iraq. But by then, Jews must pay 10,000 dinars to leave the country. When Haddad is forced to smuggle himself out of Iraq after being denounced by an informer, the book becomes an adventure story. Escaping into Iran, Haddad's departure for Israel is delayed a few months: his medical skills are desperately needed. He treats Israel-bound lice-ridden Kurdish Jews from northern Iran with trachoma and dysentry. The Iraqi government drives the Jews from Iraq, stripping them of their citizenship and property in a spiteful effort to overwhelm the struggling Jewish state with a seething mass of dependent humanity. The Arabs have the last laugh, writes Haddad, claiming all that confiscated Jewish wealth for themselves. The complacency of Arabs in Israel angers him, their 'casual and overnight acceptance of those freedoms we'd never won in centuries among them. Both sides had to want coexistence and the Arabs would not settle for less than a ruling role'. Haddad finds his despairing family in an Israeli tent camp with its inadequate sanitary conditions and its rationed and revolting 'Ashkenazi' food. He becomes aware of prejudice against the Jews from Arab countries. 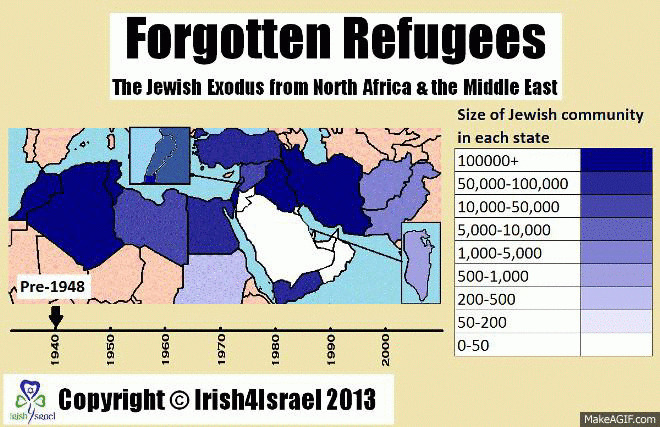 All immigrants to Israel are refugees, but even the welcome given the destitute oriental Jews seems second-class. 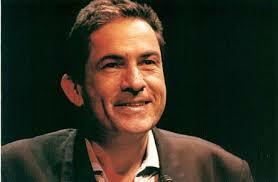 However, Haddad moves quickly to set up his family in an apartment and they start to rebuild their lives. His father, a successful building contractor in Iraq, is turned down for a contracting job for not speaking Yiddish. The country is run by the all-powerful Histadrut union, with its fair share of blinkered bureaucrats. Haddad is stymied in his professional ambitions by his Ashkenazi senior at Hadassah hospital. Barely 21, he takes up a medical post in the US. He is also desperate to escape his warm-hearted, but unsuitable Ashkenazi girlfriend Ada. Dr Haddad settles permanently in the US, but his family remains in Israel. He later becomes head of the World Organisation for Jews from Arab Countries. Flight from Babylon is a detailed account of the last years of the Iraqi Jewish community. Thanks to the literary skills of Phyllis Rosenteur, who handles the narrative with sensitivity and colour, it's a great read, all the more compelling for being non-fiction. Once a community of 5,000 founded by Jews from Aleppo and Baghdad, the 40 Jews of Calcutta will die out in 10 years' time, according to Robert Hirschfield in The Forward. Although antisemitism was never a problem, a key factor explaining the exodus of Jews from Calcutta was insecurity resulting from Hindu-Muslim strife in 1947. The Jewish community of Calcutta numbers fewer than 40. The average age hovers around 75. The three youngest members of the community, two brothers and a sister, are in their 30s, with the youngest, 35-year-old Mordechai Israel, in the process of making aliyah. The community began optimistically, wrapped in the mystery of the East. It started with Shalom Cohen’s arrival from Aleppo, Syria. Ever since the late 1940s, with India’s independence and the creation of the State of Israel, the migration of Jews from Calcutta, with the exception of Silliman and maybe a few others, has been irreversible. It’s hard to imagine the bustling community of 5,000 that existed in the city before World War II. The terrible Hindu-Muslim carnage in Calcutta following the 1947 partition fueled Jewish insecurity. Many were also unsure what their place would be in the new, Hindu-dominated India. But “antisemitism has never been a problem in India and we are grateful for that,” said Aline Cohen, 64, who took over performing the tahara (the Jewish ritual of purification in which a body is cleaned before burial) from women who had grown too old to minister to the dead. The result of this experience: Kurds see Americans as allies and also have empathy for Israelis and Jews. It makes sense when you think about it: Like Kurds, Jews are an ancient Middle Eastern people. Like Kurds, Jews have been targeted for genocide. Like Kurds, Israelis face an uncertain future among neighbors who range from merely hostile to openly exterminationist. Students meeting with our delegation express admiration for Israelis' courage - somewhat to the chagrin of their American professor. A Kurdish driver tells me there are two countries he'd like to visit: America and Israel. Why Israel? Because Israelis, like Kurds, have been persecuted yet have managed to survive, achieve and prosper. "We have no problems with Israel," explains Falah Mustafa Bakir, head of Kurdistan's Department of Foreign Relations. "They have not harmed us. We can't be hating them because Arabs hate them." He notes that Israel is one of the few democracies in the region and that Kurds, too, are attempting to build durable democratic institutions. Kurdistan, Bakir adds, is sometimes called "the second Israel." Jews settled in this area as early as the eighth century B.C. 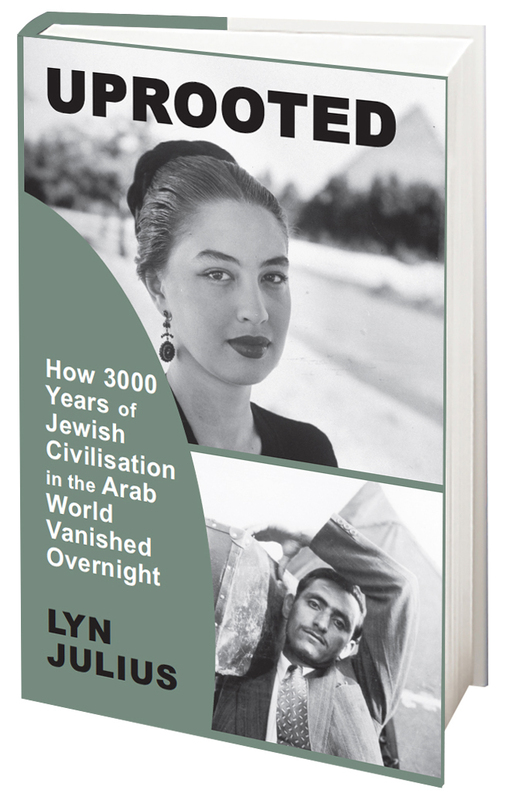 Of course, Jews once lived throughout the broader Middle East, from Morocco to Afghanistan. 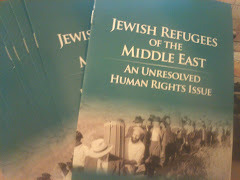 However, after World War II and the founding of the state of Israel, Arab governments turned on their Jewish minorities. As recently as the 1940s, Jews constituted as much as a third of Baghdad's population. By the early 1950s, almost all had been expelled. 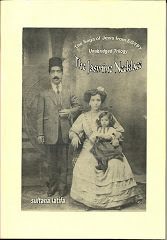 The Iraqi government forced Kurdish Jews into exile as well. Paul Berman: The Germans had a research center at the University of Tübingen of orientalists, looking for ways to present the Nazi project in Muslim terms. German theoreticians and scholars were coming up with all kinds of ideas of their own, like, couldn’t they present Hitler as somebody perhaps granted a new revelation beyond Mohammed; or in relation to Shiism, couldn’t Hitler be presented as the twelfth imam? Of course, the Mufti didn’t think there was going to be a new revelation because that would be against Islam; Mohammed is the final prophet. But he did go along with recasting some German ideas in Islamic terms, the most important of these was how to think about the Jews. In the Nazi idea, we sometimes forget what Nazi antisemitism was. There were two aspects: one was biological. The Nazis were racists on biological grounds and the Jews were inferior. And the Germans wanted to exterminate these and other inferior races for the genetic good of the future of Aryan mankind. But there was another strand, which was paranoid, based on a paranoid conspiracy theory. Jeff Herf is a great historian on this topic. The Nazis pictured themselves as under assault from the Jews. There was a danger that the Aryans, the German race, was going to be exterminated by the Jews, so the Nazis were fighting a war of self-defense against this gigantic Jewish conspiracy to exterminate Germany. The war against the Soviet Union and communism was really a war against Jews because the Soviet Union and communism were controlled by the Jews. On the other front, the Nazis were at war against the British Empire. The British Empire was likewise controlled by the Jews. This was another element of the conspiracy. When America entered the war it turned out that America too was controlled by the Jews. So Nazis were fending off in their own minds this gigantic conspiracy. Of course, the meaning of this is that the Nazis were picturing Jews as a supernaturally powerful and demonic force. So the Nazis had to massacre the Jews simply out of self-defense. This is why, as the war went worse and worse for the Nazis and they needed more and more to send troops to go fight the Soviets or the Western allies invading from the West, instead they sent forces to exterminate the Jews. This was their doctrine. Now they, in collaboration with the Mufti and other exiles, began to present this whole series of ideas in Koranic and Islamic terms. Herf was able to turn up the actual transcripts of the broadcasts which had never been seen before. Guernica: Via the State Department? Paul Berman: Via the State Department. The Germans had a vast short-wave radio propaganda system going on throughout the Arab world and no one has ever found the tapes of those broadcasts. And no one has ever found a German transcript. But Herf had the brilliant idea of checking around to see what might be available in the State Department archives. And there he found it. The American embassy in Cairo, under its Ambassadors Alexander Kirk and “Kippy” Tuck (laughs)—you can’t make some of this up, it was just beyond fiction—had supervised the transcribing into English of the Nazi broadcasts and they were regularly sent to Washington for analysis and then went into storage. It’s odd to think that no one has gone into them in depth until Herf. So we see the actual creating of this mad doctrine which I think was a sort of mishmash of Nazi ideas using Islamic rhetoric. The most important of the ideas is that the Jews are a demonic and supernatural force. The goal of the Zionist project in this picture was to destroy the Arab world and replace it with a giant Zionist state. Guernica: Now this is all laid out in radio broadcasts. But is this the Mufti himself speaking in these broadcasts? Guernica: And he rises, you write, to inciting genocide. Paul Berman: Yes, the Mufti calls on the Arabs and Muslims to rise up and massacre the Jews. Guernica: This happened especially during key turning points in the war, as when Rommel was waging his campaign in the North African desert? Paul Berman: Exactly. As the Nazis invaded various countries they called on their supporters to rise up in support of them. The best known instance of this is one of the smallest instances. When the Jews were arrested in France and sent to Auschwitz, they were arrested by French police. This was a relatively small number of Jews, only 76,000. But the really mass instances of this took place in Eastern Europe, where the Nazis called on Ukrainian volunteers and other people to round up the Jews and massacre them or to send them off to the extermination camps. Now the whole program was to do the same in the Middle East, where there was a large Jewish population, maybe a million people, a chunk in Palestine, but very large and ancient Jewish populations in Morocco, Algeria, Egypt, Iraq, and throughout the region. So the Nazi propaganda, mostly radio, but also leaflets, called on Arabs and Muslims to rise up and massacre the Jews. And the Mufti was especially virulent in his calls for this and issued these calls in an ancient Islamic language, sometimes quoting some hadith or scriptural traditions from Islam. Guernica: Didn’t the Mufti even stop the Nazis from showing clemency to some children? Paul Berman: Yes, the Mufti had a great prestige among the Nazi leaders and agitated forcefully and publicly in Europe to urge the Nazis to go further and kill still more people. 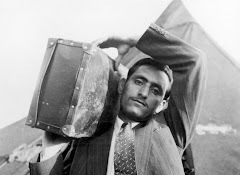 There were a number of times when the Nazis were willing to allow some groups of Jews to leave Europe and escape to Palestine and a large number of children. The Nazis had wanted to do this as a kind of phony propaganda effort to show that they were nice (and anyway expected the Jews to be exterminated in Palestine by the Arabs, or by themselves when they eventually got there). And the Mufti agitated against this. The Mufti was calling successfully for the Nazis to show no clemency and instead send these Jews to Poland, which is to say to be murdered. Guernica: So he’s a war criminal. Paul Berman: Yes, he was a war criminal and you have to ask yourself, why was he so influential among the German leaders? When the Mufti spoke to the Nazis, the Nazis had reason to think that this is a man with real power potentially in the Arab world. The Nazis respected him, he was a genuine war criminal who was able to convince them to take a harder line. And one of the real reasons for the Mufti’s power and influence among Nazis was the support and fealty he was getting from the Supreme Guide of the Muslim Brotherhood in Egypt, Hassan al-Banna. So there were close connections and an ideological development. Where is the outrage at the abuse of the Copts? 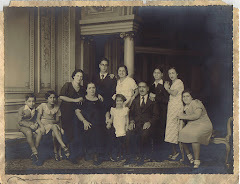 Moheb Zaki's op-ed Egypt's persecuted Christians (May 18) reminds me of what our Coptic Christian neighbors told us as Egypt's Jews were being ethnically cleansed beginning as early as 1945: "After Saturday comes Sunday." What this saying meant was that once the Muslims get rid of the Jews, the Christians' turn is next. The good news is that Egypt's radical Muslims will not be able to expel seven to eight million Christians as easily as they did Egypt's 80,000 Jews, including my family. Hopefully, the world community, the United Nations, human rights organizations and the world's churches will lobby Egypt's leaders. That is more than they did for the one million Jews who were kicked out of nine Arab countries and Iran, leaving behind most of their property, starting in the late 1940s and 1950s, after the foundation of the state of Israel. In 1967, at the start of the Six-Day War, the few remaining adult male Jews in Egypt were rounded up and imprisoned. That is why I object strongly to our president's speech in Cairo when he made the unbelievable statement that "Islam and America share the same principles of justice and tolerance." Nonsense. Our values include religious and political freedom, respect for women, the rule of law and democratic ideals. Not so in Saudi Arabia, Sudan, Iran, Somalia and in other places dominated by radical Islam such as Gaza. "Most young American Jews that I know have chosen to visit or live in Israel at some point in their lives, not only as a way of familiarizing themselves with Eretz Yisrael or Judaism, but as an introduction to the broader Middle East. I too just finished living in the region for eight months, although my country of choice was not Israel, it was Syria. "This was a shocking choice for family and friends. Even my Arabic professor, who is an Armenian Christian from Syria, gravely warned me to never mention my religion or any prior travel to Israel, let alone his name in case the secret police are watching me. His admonitions were not at all surprising given his recollections of growing up in Aleppo and on class trips with his school to watch the authorities hang Jews. "My experiences in Syria, as well as my travel throughout Lebanon, Jordan, and Kurdish Iraq, ranged from the absurdly predictable to the wonderfully unexpected and surprising. My first observation upon arriving in Damascus was how Palestinian flags almost outnumber Syrian flags across the country. At the government subsidized Arabic language center, uncritically profiled by the New York Times, there is a map in every classroom of Palestine (without Israel, although Tel-Abeeb is on the map), some making dubious land claims to Lebanon and Turkey as well, while many teachers teach propaganda to students from all over the world. This can range from learning Palestinian resistance songs to learning about IDF 'massacres' and teaching the students about their perspectives on Zionism. This is done while extolling the Arab armies for their superior ethics in battle, which Judaism does not have, according to my teacher, and their "meticulous" distinctions between Jew, Israeli and Zionist. "This last point was like a bad joke: the three terms are indistinguishable in everyday conversation, usually preceded or followed by an expletive. As an American I was confronted by eager Syrians wanting to educate me against the Jews/AIPAC/Israel/Zionists who are controlling America. My German friends were often greeted by shop-owners with a Heil Hitler while expressing their love for the Third Reich. "What was most shocking to me was that even the most westernized and independent thinkers I met were obsessed with conspiracy theories. Many are convinced that 9/11 was carried out by the US or Jews; that the US caused the earthquake in Haiti in order to occupy it for its resources (which ones I do not know); that Israel caused the earthquake in order to send in medical teams to steal organs or to distract the world from Gaza; that the Mossad downed Ethiopian Airlines 737 leaving from Beirut; that the Department of Defense or Mossad created H1N1 while investing in pharmaceuticals to profit off of the sick; the list goes on. "The front pages of Syria's largest newspapers, state-controlled of course, always had a story inciting hate against Israel, whether there was actual news to report on or not. I remember the day that the Hurva Synagogue was re-dedicated in the Jewish Quarter of the old city of Jerusalem, a day dubbed by the Syrian press as a "day of rage," portraying the re-dedication as one more step to destroying the Al-Aqsa Mosque. Nowhere was it ever mentioned that the synagogue was twice destroyed in over 200 years by Arabs and that it was in the Jewish Quarter of the Old City. My Arabic tutor, brilliant and politically savvy, yet a very traditional Sunni, was the most outraged out of anyone I had met. 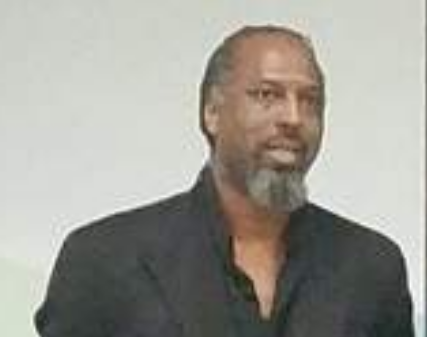 He spent an entire lesson, two-and-a-half hours, lecturing me on the Torah and the Talmud, which he claimed to have read, and outlined the Elders' of Zion plot to control the world and dominate the Arabs. In one sentence he both denied the Holocaust and affirmed it in order to use it to compare Palestinian suffering. "It is ironic that while most Syrians think that the US is controlled by Jews and that we are more than 2.5% of the population, they never imagine that the Americans they meet might be Jewish. The Arab world is full of Jews like myself learning Arabic-- by chance my American room-mate was Jewish. I am sure our two Syrian room-mates, one Shia and one Sunni, had no idea who they were living with. Occasionally I would venture to challenge someone's anti-semitic beliefs. I tried pointing out how the Jews had suffered in Syria, or would direct the conversation to why there are no more Jews, and where they might be. I was always met with blank stares, a confused look that did not understand why I was not agreeing with them. After all, any good person's moral compass in the Arab world has Palestine as the epitome of Good, and Israel/Jews as the epitome of Evil. No one I spoke to cared what the fate was of Syrian Jewry. "Against this backdrop of hatred and indoctrination were the good people, those whom I could tell I was Jewish and had been to Israel. They were, more often than not, minorities who felt threatened by the government or the majority Sunni population. They were Armenians, Christians, Muslim Kurds, seculars and homosexuals--this last minority group officially does not exist in Syria. "I had some very close Kurdish friends who strongly identified with Israel, even the settler movement which I do not identify with, and despised the Syrian state. During Eid Al-Nourouz, a large holiday celebrated by Kurds, Syrian police officers gunned down a Kurdish crowd in Raqa, killing two and sending 40 to the hospital where they were detained and kept away from the public. This did not make news in Syria or the West, but on the same day Israel had killed two infiltrators from Gaza, making international headlines. What surprised me the most was how appallingly the Syrian government treated the Kurds - with what I would consider murder, torture and ethnic cleansing. One example of their oppression is the prohibition against instructing and writing the Kurdish language and promoting Kurdish culture. In many parts of Kurdish Syria, Arabs are forcibly moved into Kurdish towns and the towns are then given an Arabic name. One girl who was 1/4 Turkish, 1/4 Kurdish and 1/2 Arab loved listening to Israeli heavy metal music because it was the only music she could find that blended eastern and western tonalities successfully. "I remember very well two Kurdish girls who told me shortly after meeting me their love for Jews and People of the Book. I looked at them oddly, asking, "how do you know this if you have not met any Jews? " Apparently, they knew Muslim families descended from Jews in Saudi Arabia and they were good people. One of them told me how she dreamed of traveling just to meet Jews. They were of course ecstatic to find out my religion, and I was more than happy to make genuine friends. "In America I was always impressed by the Syrian ambassador to the United States, Dr. Imad Mustapha, an eloquent speaker, a sharp debater and one who has always pressed for peace. But I quickly learned that land for peace is not what Syria wants. What Syria says in English to the West is not what it says in Arabic to its own people. Syria's interest in peace is belied by its actions. "I have no regrets whatsoever about choosing Syria as my country of residence for continuing my Arabic studies. Syria has a remarkable history predating the regime, the people are among the most hospitable in the entire world (unfortunately this does not translate into policy), Damascus has, in my opinion, the best Arabic dialect, and the country is incredibly inexpensive. There are good people to be found, and I am sure that if I told more of my friends that I am Jewish there would not have been too much of a problem. But fear of the government is what rules the country and I had to avoid too many risks. Let's just say that now I am happy to be among good friends in Jerusalem." 1 - Ms. Ellen Post, known as a Muslim and with Egyptian nationality, died on October 1, 2009, lived in Gamal al Din al-Edsuki street no. 2, Heliopolis. 2 - Violet Hanna Matheo Guirgis, Christian with Egyptian nationality - who died on December 23, 2009, in Abdullah abul-Seoud Street no. 2, Apartment 3, Heliopolis. 3 - Camelia Riad Muhammad Musa - Muslim Egyptian - died on November 22, 2009, in Saleh Ayoub Street no. 16, Zamalek. 4 - Fathi Nicholas Estemati - religion and nationality are not known - died on 1 November 2009, on 18 Massaken Sheraton-Airport. 5 - Rakia Hanem Abdul Ghani - an Egyptian Muslim - died on 13 March 2002, on Helwan Street no. 6, Department al-Khalifa. 6 - Aaron Yehezkel Saltoun, and Aboudi Joseph Za'zoua (or Sha'shoua) - Iraqi nationality, religion unknown - died on February 3, 2005, at Nazelat el-Sissy no. 9, at el-Haram. 7 - Fatma Gomaa Hussein - an Egyptian Muslim - who died on May 29, 1982, on Haret al - Badawi No. 7, in the - Aarb, Port Said. 8 - Esmat Muhammad al-Meligui - Muslim and Egyptian - died on January 9, 1988, on el-Sawamee street no. 4, at Manof Manoufeya. 9 - Mona Mohammed Abd-Allah - Muslim, nationality unknown - died on July 31, 2006, on Aatfet Bent-el-bakri Street, El-Mousky, Cairo. According to inheritance laws in Egypt, in case of the heirs' absence, the legacy will be sold at an auction and the value will be deposited in a closed bank account, on behalf of the owner, for 21 years. If the successors are not found in those years, the deposit will be transferred from the Nasser Bank to needy and poor families. This will be the fate of those 200 million pounds, amassed by their owners during years of hard work, which in the absence of heirs, will go to the poor and needy. Ten years might pass before a wedding takes place in the Jewish community here,” said Haroun, who is one of the nearly 40 members of the Jewish community in Yazd. The Jews of Iran trace their history back 2,600 years, when members of the tribes of Israel were taken into captivity by the Assyrian king and exiled. The Giliard region of Damavand, near Tehran, where some settled, still houses a Jewish cemetery which is a sacred burial place to pious Jews. 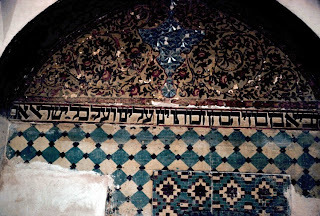 Tehran has the largest Jewish population in Iran with nearly 15,000 people and 30 synagogues. The Dr Sapir Hospital, which is a Jewish charity, has predominantly Muslim staff and patients and is highly respected. Jewish businesspeople also run a nursing home, schools and kindergartens as well as a Jewish library, a number of butcheries and a kosher restaurant. The Jews of Iran have been best known for certain professions like making gold jewellery and antique dealing, textiles and carpets. Most Shia regard Jews as ritually unclean so Jews are unable to sell food. 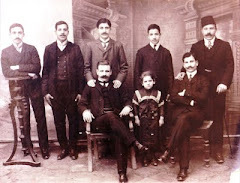 During the reign of Mohammad-Reza Shah Pahlavi, when Iran-Israel relations were amicable, Jewish people founded a number of important businesses like the Roghan Nabati (vegetable oil) factory, Khorous-Neshan gum business and the Chitsazi-e-Tehran textile firm and played an important role in the economic development of Iran. 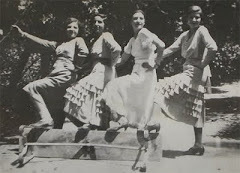 Before World War Two, many Jewish people left the Tehran ghetto called Oudlajan, which had become unsanitary. Today, the only inhabitants left are three men, Raheleh, Shamsi and Behnam, who live in the Ezra Yaghoub synagogue, the city’s oldest. Iranian Jews believe themselves to be the descendants of Esther, the wife of the Persian King Xerxes, who helped save the lives of Jewish people in the vast Persian empire that encompassed much of the Middle East. Esther is buried in the city of Hamadan next to her cousin Mordecai. Every year, Iranian Jews flock to their mausoleum on the Jewish festival of Purim, which celebrates the deliverance. Some women make wishes there, believing she can work miracles. It was King Cyrus, founder of the Persian empire, who released the Jews from captivity in the sixth century BC - mentioned in the Old Testament as their deliverer. While Iran’s history bears witness to the tolerance of Iranians for Jewish people, the 1979 Islamic Revolution spawned mixed feelings among Iranian Jews about their identity and nationality, not least because of the Islamic regime’s enmity towards Israel. Even though Ayatollah Khomeini, in his first public speech in 1979, announced the Jewish community would be regarded differently from Israel, Habibollah Elghanian, head of the Tehran Jewish community and one of the wealthiest Iranian Jews, was accused of corruption and contacts with Israel and was executed in 1979. That led to a wave of emigration by Iranian Jews. Over the past 30 years, the Israeli flag has been repeatedly torched and the Star of David desecrated in Palestine Square in Tehran. The government has also funded the production of countless anti-Semitic and anti-Israeli films and TV series. The arrest of 13 Isfahani and Shirazi Jews on charges of spying for Israel in 2000 brought fears of a new wave of repression. The accused, mainly clothing or shoe salesmen, were finally released after international pressure. After Israel and Turkey, Iran has the third largest Jewish population in the Middle East. However, the numbers, estimated to stand at 150,000 in 1979 when many had important positions in society, have fallen to a nominal 30,000, though in practice it may be far less. Outside Tehran, there are smaller populations in Shiraz (8,000), Isfahan (900), Sanandaj (500), Kermanshah, Rafsanjan, Hamadan, Yazd and Kerman. All live in a permanent state of fear given what has happened to their co-religionists in recent years. Over the years, some felt so threatened that they chose to convert to Islam, but continued to practice Judaism in secret – becoming so-called crypto-Jews. One of the latter, Moshe Hakimi, from Mashhad, spoke to IWPR about this community’s dual identity. “Every newborn was told from his first years of life that we are living in times of crisis and that they must lead a double life. They told us that we must not talk about our personal lives in front of non-Jewish people. This absolute secrecy became second nature after reaching puberty,” he said. The motive behind such conversions might be seen as an attempt to lead a peaceful life in predominantly Muslim Iranian society. Through such conversions, Jews were able to get different jobs, interact, trade and live more freely. Nevertheless, traditional Iranian society tends to look down on such converts. Opponents of President Mahmoud Ahmadinejad even spread a false rumour that he was of Jewish origin to try to discredit him and arouse public opposition to the regime. Despite having Hebrew names, Jewish Iranians use their Persian names in their identification papers and do not practice their religious rites in public. Unlike churches, which are clearly marked, synagogues are mostly located anonymously in back alleys and side streets. Iranian Jews, like Christians and Zoroastrians, have a representative in the Majlis (parliament). But only in 2003 was the blood money for Jewish people and other religious minorities made equal to that of a Muslim. Previously, blood money, the compensation that relatives of a murder victim can claim in lieu of the death sentence for the perpetrator, was half for the minorities. The efforts the Jewish community makes to remind Jewish people of their rich culture include tours to important sites. Among these are Shush-Daniel, the presumed tomb of Daniel located in Khuzestan province and the grave of Jacob’s granddaughter in the Lenjan cemetery in Isfahan as well as Queen Esther’s mausoleum. Visits to various cities across Iran as well as musical performances, hiking and other activities all aim to promote solidarity among Jewish youth. But none of this has succeeded in reversing the minority’s trend towards emigration to the United States, Israel and European countries in recent years. BAGHDAD — Wearing an elegant pink headscarf, Marwa Abdel Karim serenades her fellow Baghdad University students with a heartfelt rendition of "Filled With Love," remarkable for the language in which it is sung -- Hebrew. She is one of the 150 students at the university's Hebraic department, studying the language of Israel in an Arab country that has never had ties with the Jewish state and where most people regard it as an enemy. For the first time since it was set up 40 years ago, the department organised a festival earlier this month where students sang songs and recited poetry for an enthralled audience of about 100, and gifted tutors with presents. At the festival, the joyous mood was tempered by bemusement among students at the peculiar circumstances that led them to study Hebrew and the lack of job opportunities for graduates. None of them originally chose to study Hebrew. They wanted English, French, German and Spanish but inadequate grades limited their options to Persian, Kurdish and Hebrew. "I wanted to study English but I did not obtain good enough grades in my diploma, so I found myself learning Hebrew," says Marwa, 21, who enthralled the audience with her song by Israeli artist Sarit Hadad, which she discovered on the Internet. "My parents are disappointed, but I took my chance with this language. "When I say to my friends that I study Hebrew they laugh at me, but I intend to continue my studies in Amman and then teach at the University of Baghdad," she says with a smile. Before the 2003 toppling of president Saddam Hussein by US forces, students of Hebrew often secured jobs with the intelligence services. Such employment, however, is now limited because terrorism rather than espionage is Iraq's major security concern. "When I complete my studies I will knock on all doors -- the intelligence service, the foreign affairs ministry and the newspapers who need translators," says Ahmed Saadun, 22, a third-year undergraduate. In a humorous festival sketch poking fun at his own dismal job prospects, he answers a fellow student who asks him what he will do when he leaves university. "Nothing. But at least I had four years in the company of pretty girls." This article in the Financial Times on the renovation of Damascus's Jewish quarter begins by downplaying the plight of Syria's Jews, who 'left' and 'departed' rather than 'fled' or were 'driven out'. By the end, however, writer Andrew England does seem to realise that the plan to refurbish 120 abandoned homes, still technically owned by Jews, does present something of a moral dilemma. (With thanks: Laurence). The Al-Amin neighbourhood of Damascus has an innocuous, sleepy feel. There are none of the cafés and bazaars found elsewhere in the Old City of Syria’s capital. Given the area’s chequered history, this is not surprising. Al-Amin is the old Jewish quarter, a warren of alleyways and ancient houses long neglected after thousands of Syrian Jews left in the early 1990s. Others had departed much earlier: after the 1948 war that accompanied Israel’s birth, the homes of some Syrian Jews were taken by Palestinian refugees. For those Jews who remained after the creation of Israel, life was tough and they found themselves monitored and restricted by autocratic regimes. Yet behind wooden doors in the quarter lie hidden gems – reminders of a more prosperous past and a glimpse of what the future may hold. Al-Amin is home to one of Damascus’s newest boutique hotels, the Talisman, which was developed from two houses once left in a state of decay. It opened in 2006 and displays the grandeur the houses enjoyed in a bygone era, while serving as an example of a spurt of development that is slowly transforming the quarter. With marble-clad courtyards and ornate rooms, these Ottoman-era homes proved a perfect location for the hotel. The Talisman’s owners are planning to build another one in the area. “This will be one of the most famous streets in the Middle East,” says a staff member. A few doors down from the Talisman, workers are putting the finishing touches to another hotel which, if anything, will be even grander. Beit Farhi was once the home of Raphael Farhi, a Jewish financial adviser to the Ottoman sultanate during the 19th century. Hakam Roukbi, an architect who left Syria for Europe in the 1960s, is overseeing the restoration. 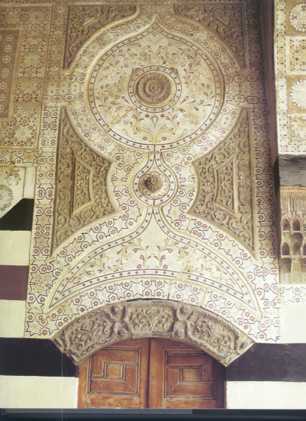 He returned to Damascus after seeing a painting of Beit Farhi by Sir Frederick Leighton, the British artist, capturing the majesty of its large courtyard. When Mr Roukbi discovered it, “everything was crumbling down”, but he located a surviving member of the Farhi family, bought the property with partners and began restoring it. Residents trace the interest in the old Jewish quarter to a decision by Mustafa Ali, one of Syria’s best-known artists, to open a gallery in the area in 2003. Back then, Mr Ali would walk through a neighbourhood that was “90 per cent” empty, he says. Now, his vision is for the quarter to develop into a cultural area, with a theatre, cafés and art studios – an idea that has won the attention of Bashar al-Assad, the president. Mr Ali met Mr Assad last year and was told to compile a study on the state of the Jewish quarter. He discovered that 210 houses were lying abandoned, many of them still owned by Jews living abroad. In their absence, the homes fall under the responsibility of the government’s Jewish property department, and Mr Ali is hoping to work with them to renovate the homes. How that might work in practice remains unclear. Twenty years ago, Al-Amin was home to some 4,000 Syrian Jews, all living under tight restrictions. They were barred from joining the security forces and only individuals, not entire families, could travel outside the country. In 1992, however, Hafez al-Assad, then president, allowed Jewish families to leave together, triggering the most recent exodus. Today, only a few dozen elderly Jews remain in Damascus. As he speaks in an office coated in Jewish symbols and artefacts, a member of Syria’s intelligence service listens and a government official translates. When Mr Cameo offers to show his visitors the synagogue tucked away off a side street, there are glances between them, as if to ensure that this would not be a problem. Mr Cameo does not resent the idea of developing Al-Amin. Once, he remembers, the area was known as “Taiwan” because it was “so active and there were merchants in every house, especially for making clothes”. Those Jews who made new lives in the west could return*. But many – including the chief rabbi – left for Israel, with whom Syria remains officially at war over the Golan Heights, territory that has been occupied by the Jewish state since the 1967 war. They are officially barred from coming back. On Shavuoth sixty-nine years ago to the day, a terrible pogrom broke out in Iraq which claimed the lives of hundreds of Jews. It is not known how many exactly were murdered - figures vary from 130 to 600. Thousands of Jews were injured, women raped, babies mutilated, property wrecked and looted. Some brave Arabs saved their Jewish neighbours. Others turned against them. The mayhem went on for two days until the British army, camped out on the outskirts of Baghdad, decided to intervene against the rioters. 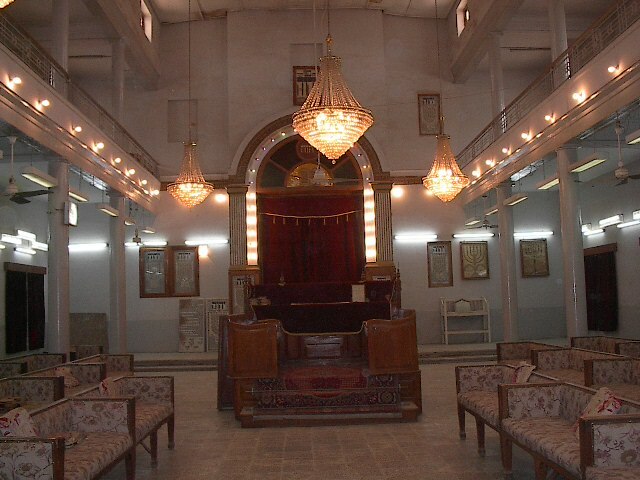 The Farhud, as it was known, became seared in the memory of those who survived, and sounded the death knell for the ancient Jewish community of Iraq. Ten years later the Jews had almost all left. These had been the facts about the Farhud. Until an Israeli Professor of Arabic studies tried to change them.
" We forget that although 150 Jews were killed at least 200 Muslims were killed at the same disturbances and those 200 Muslims because they wanted to defend their Jewish neighbours. And this must be written in letters of fire." 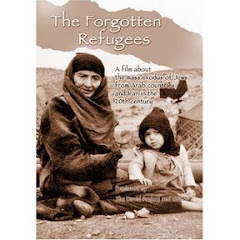 Sensing that something did not ring true, Point of No Return alerted Salim Fattal, a Baghdad-born broadcaster and author who had interviewed 100 survivors of the Farhud for a series of TV programmes. Fattal challenged Somekh, who blamed a reporter on the Vanderbilt newsletter for misquoting him. But Somekh's words had been recorded for all to hear. "The new theory that 250 Iraqi Muslims sacrificed their own lives only to save or defend their Jewish neighbors is absolute nonsense. This is a new, pathetic attempt to add to the bloody massacre some rosy color and to twist the very simple truth that Arab society was hostile or, in the best case, indifferent to the Jewish tragedy. "At the time, the Arab public opinion in Iraq, as well as in other Arab countries, including North Africa, was openly admiring of Nazi Germany and was fanatically against the British and the Jews as well. My uncle Meir Kalif and his partner Nahom Qazzaz were assassinated in the pogrom. Their bodies were never found. Our two families were very much involved in searching and tracing their disappearance but in our entire search we never heard such a legendary story. "When I started working on my documentary series I interviewed over one hundred Jews who were exposed, this way or another, to the traumatic massacre. None of them claimed that Muslims were killed while defending their Jewish neighbors, or simply killed. On the contrary, I heard that some Muslims joined the rioters in killing or looting their neighboring Jews. "In his special research about the 1941 uprising in Iraq, A’bdul Razzaq al-Hasani, a well-known Iraqi historian, wrote a special chapter about the pogrom titled “the tragedy”. Neither he nor other researchers, Muslims, Jews or Christians, have ever mentioned that such event (ie. the killing of Muslims - ed) had really occurred. "Did professor Somekh mention any name or names of such righteous Muslim citizens? I doubt if he really meant what he said. "Moreover, if 250 Muslims were killed while defending Jews and only 150 Jews were killed, if out of total 400 victims, nearly 65% were Muslims and nearly 35% were Jews, then we can definitely say that the pogrom initiated and carried out by Muslims was not directed against Jews but against Muslims. Can anybody conceive such absurdity? "Yes! There were some Muslims who gave shelter to their Jewish neighbors. I mentioned that three times in the first chapter of my documentary series. Some Muslims challenged the rioters by telling them that “if you want to kill my neighboring Jews you have first to kill me”. For their part they were noble citizens but none of them were killed. Rioters didn’t kill Muslims. "And yes, again! There were probably hundreds of Muslims who were killed in the second day of the pogrom. Who were they? Who killed them and why? Were they killed because they were defending Jews or because they were rioters who endangered the political and social order in Iraq? The Israeli 'new historians' have done much to smash up the sacred cows of Israel's 'Zionist' narrative, especially the events of the 1948 war of independence. Now the sacred facts of Iraq-Jewish history were being rewritten and an anti-Jewish pogrom stripped of its Jewish significance. Realising that something must be rotten in the Israeli academy if Somekh's fabrications could be freely disseminated, Salim Fattal decided to write a book. 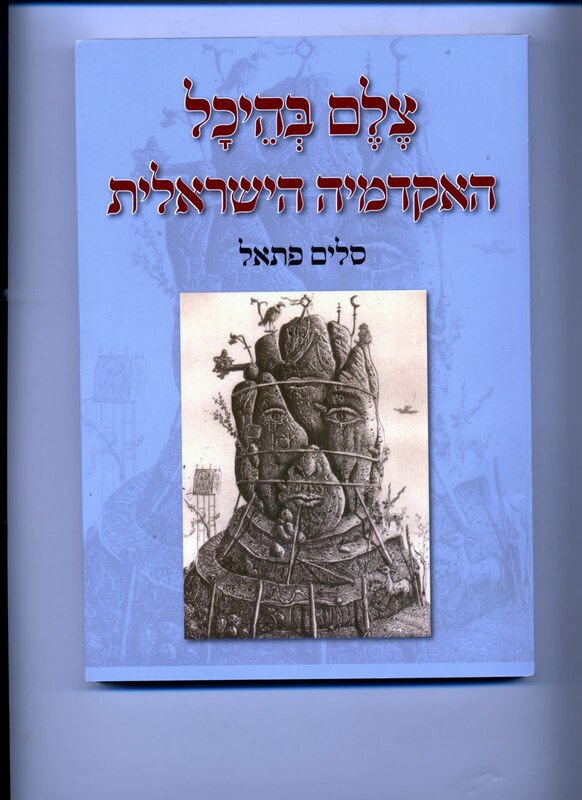 The book, An idol in the Temple of the Israeli Academy, not only sets the record straight on the Farhud, but inveighs against revisionist academics with a post- or anti-Zionist political agenda. The book, published a few weeks ago, has been well received, but Salim Fattal says that he has nothing personal against Professor Somekh, whom he has known for 30 years. One wonders, however, after such a public dressing-down, how Professor Somekh and Salim Fattal can still hope to be friends, if indeed they want to be. Sometimes, it may be worth sacrificing friendship to truth. * the fight - not the revisionism! Sixty-nine years since the outbreak of the Farhud anti-Jewish pogrom on Shavuoth, 1941, we reproduce this remarkable piece by Iraqi journalist Khedher Taher, a moving apology for the treatment of Iraqi Jews. If more people thought like Taher, we might have reconciliation and peace between Jews and Arabs (with thanks: Sami and Emile Cohen for his translation). How long will Professor Shmuel Moreh continue to remind us of our shameful brutal barbarism against the Jews, the citizens of our country, Iraq? How long will he flagellate our consciences severely and scream “why my fellow countryman did you expel me and kill me while I am a more ancient inhabitant than you, the Arab, in Iraq?” Since when is geography the privilege of certain religion or a particular nation? Isn't the sky created by God the same for all human beings, so why should not the land also be the property of man whatever one's religion or race; man has the right to choose to reside and live with his fellow men! I admit that the articles of Professor Shmuel give me feelings of melancholy and shame; shame that I belong to the society which deals brutally and barbarically with its people to the extent that it renounces their nationality and abuses and plunders their assets with a tranquil conscience and with a beastly sense of victory. What kind of hideous moral, nationalist and religious crime has been practised against our own Iraqi Jews? As God is my witness, I do not humour anyone, but I express my true feelings towards the Iraqi Jews, for what had occurred to them was a hideous crime from every viewpoint and a shameful black stain on the history of the Iraqi people. I cannot imagine how people dare to insult, beat up and plunder the assets of fellow Iraqi patriots who existed 2500 years ago, and the Jews had longer standing history living in Iraq than the Muslim Arabs. What happened to the Jews in Iraq was repeated in all the Arab countries with varying degrees of persecution, of exposure to attacks and raising questions about their patriotism. This is now repeated with Christians and others, for after the civil wars and massacres that occurred in Lebanon, Yemen, Palestine and Iraq, no longer is racism described as being against different faiths, such as that directed against the Jews and now the Christians. These communities started killing each other, fighting peoples of same nation and religion. The massacres occurred even between fellows of the same community. The Arab and Eastern societies exceeded the meaning of racism and degenerated to one even more hideous. My fellow countryman Prof. Shmuel Moreh, enjoy living happily in your country, Israel, which granted you dignity, value and life and to which you have the feeling of belonging and loyalty. The country in which we were born has been imposed upon us just as a family is imposed without our choice. Our destiny is an accident that has thrown us into countries that we did not choose and it is illogical to let this be a reason for torturing ourselves forever. A country of birth may be a symbol of memories and a cause for nostalgia ... but when the country abandons us and lets us down and withdraws its protection from us... it becomes a mere past which we had gone through and a miserable black destiny we are well rid of. Khedher Taher is an Iraqi writer who lives in Detroit, Michigan. This piece was published on April 24, 2010 on the Saudi-financed electronic Elaph site in response to memoirs by Prof. Shmuel Moreh, of the Hebrew University and Israel Prize Laureate in Oriental Studies (1999). 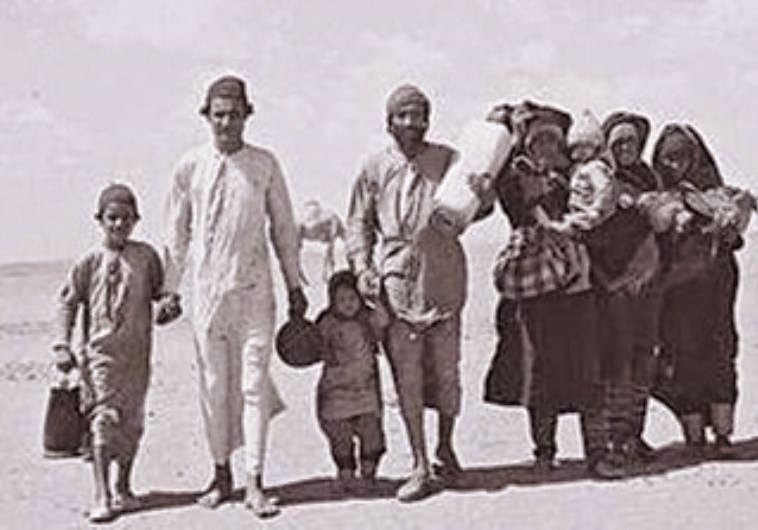 Moreh published an article on Elaph to mark 60 years since the mass expulsion of the Jews of Iraq and 69 years since the Farhud pogrom in 1941 in which 137 Jews were massacred and 2500 were wounded. This picture is only partially true. The elites vary enormously in this matter. Some are more integrated, while others less so. The elite that is apparently the most Ashkenazi of all is that of the radical left. In recent decades we have had ministers of defense, foreign affairs and finance who were Mizrahim. We have had chiefs of staff who were Mizrahim, GOCs, heads of Military Intelligence, commanders of the air force and Sayeret Matkal special operations force, attorneys general, directors general and senior officials at the Finance Ministry, heads of the Histadrut labor federation, and business tycoons. Even the Labor Party, a regular target for criticism in this respect, has twice elected a Mizrahi head, and the current Histadrut secretary general is far from being a "pet Mizrahi." However, the elites calling for an international boycott of Israel, and the Israeli participants in Israeli Apartheid Week in cities around the world, and in general all those who tend to portray Israel as a despicable and failed state, solely responsible for the conflict - this indeed is an Ashkenazi elite "with a smattering of Mizrahim." It would be appropriate for the members of this elite, who excel at preaching morality, to show a little more humility and learn a lesson from Israel's business, political and defense elites on how to integrate Mizrahim. As a rule, it can be said that all encounters in the modern era between the European world and the East, particularly the Middle East, have been unequal. Of these encounters, the one in Israel between those with origins in Europe and those from the Middle East was the least unequal because both sides shared the Zionist ideology that considered all Jewish communities as belonging to the same people. This approach did not, in practice, prevent prejudice, patronizing and discrimination, but it included an enormous advantage when compared to every other outlook, as far as integrating communities was concerned. Among modern ideologies, only Zionism enables, and requires, that Polish Jews and Yemenite Jews be seen as one people. It is fashionable today to denigrate this philosophy that sees all Jews as one nation; it is fashionable to consider it a myth. But it is clear that when it comes to integrating people from Europe and the Arab-Muslim world, in nearly equal numbers, Israel is the most successful example of such an integration in modern history. From a Zionist standpoint, it could be said that this achievement is less worthy of wonderment; after all, it involves people of the same nation, despite the cultural differences between them. And it's not about the much more difficult integration of immigrants from different nations and cultures.